LORENZO TUCCI, drummer and jazz musician of Abruzzo origins (Atessa, CHIETI), but Roman by adoption, over the years has collaborated with numerous artists such as Phil Woods, Tony Scott, Ronnie Cuber, George Garzone, Mark Turner, Tim Warfield, Emmanuel Bex, Kirk Lightsey, George Cables, Joanne Brakeen, Massimo Urbani, Danilo Rea, Fabrizio Bosso, Enrico Pieranunzi, Enrico Rava, Flavio Boltro, Giovanni Tommaso, Maurizio Giammarco, Stefano Di Battista, Dado Moroni, Salvatore Bonafede, Rosario Giuliani. He is one of the founding members of the High Five Quintet band, considered by critics and the public one of the best jazz bands in the last ten years, which includes talents other than TUCCI, Fabrizio Bosso (trumpet), Daniele Scannapieco (sax), Luca Mannutza (piano), Pietro Ciancaglini and Tommaso Scannapieco on bass. 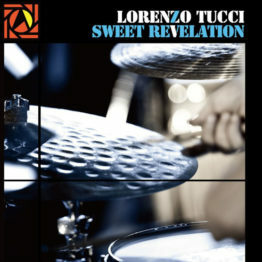 With High Five, TUCCI has realised six CDs: “Split Kick” (Blue Note, 2010), “Live For Fun” (Live at the Blue Note Tokyo, 2009) “Five For Fun” (Blue Note, 2008), “Jazz Desire” (Via Veneto Jazz, 2004) and “Jazz for more” (Via Veneto Jazz, 2002), other than “Handful of Soul” (Schema Records, 2006) whereby High Five have released a disc with the revelation of the soul jazz singer Mario Biondi, gaining three time platinum records and critically acclaimed. 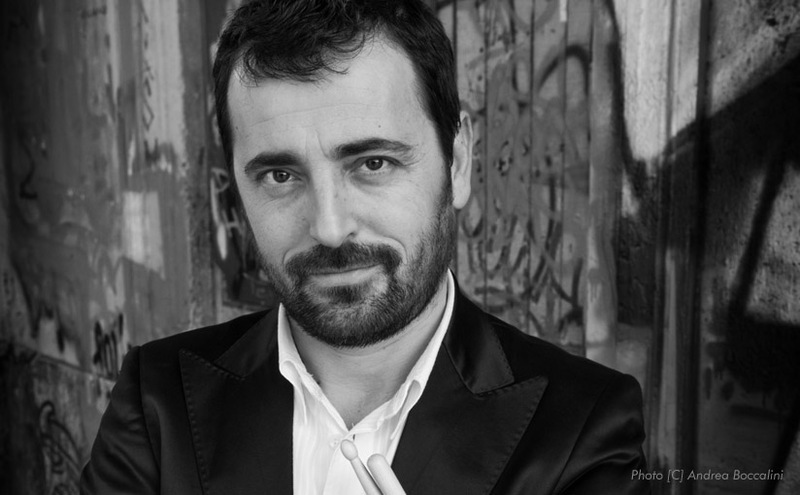 With Biondi, LORENZO TUCCI also realizes a second disc “I love you more – live” (2008) and the latest album “IF” (2009). He is currently involved, as well as in all of Mario Biondi’s tours from 2007 to today, with his trio band “Lorenzo Tucci TOUCH THREE” and “Lorenzo Tucci – TRANETY” (John Coltrane’s tribute). For years has collaborated with all of the trumpeterFabrizio Bosso’s projects, with whom he created, in addition to the discs with the High Five, seven CDs, including “You’ve Changed” (2006, Blue Note). He is co-leader of the group “DYNAMIC trio” with Luca Mannutza on Hammond organ and as always with Bosso on trumpet, and is also involved in an innovative project which combines jazz and latin sounds: “LATIN MOOD” with Javier Girotto & Fabrizio Bosso, with whom he recently released “Sol” for Blue Note. Among all his recordings under his name, the latest in chronological order is called “Touch” (2009, Schema Records) which gains benefit with the collaboration of many musicians and friends such as Gianluca Petrella, Scannapieco, Lussu, Bosso, Alice Ricciardi, Walter Ricci etc. 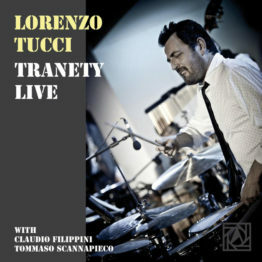 Whilst in 2007 his second album under his own name is called “LORENZO TUCCI – DruMonk” (Via Veneto Jazz) with Fabrizio Bosso and Pietro Ciancaglini. Whereas, TUCCI’s first work dates back in 2001 entitled “Sweet Revelation”, with Daniele Scannapieco, Dario Rosciglione and Pietro Lussu. Another initiative whereby LORENZO TUCCI is co-founder and co-leader is “LTC Trio” (Lussu,Tucci, Ciancaglini). The trio recorded “Hikmet” (2005) with the extraordinary participation of the New York saxophonist Mark Turner and “A different view” (2007), which had remarkable success with critics and audiences also in Japan. Among the valuable long-term partnerships of TUCCI is with saxophonist Rosario Giuliani, with whom in 1996 won first prize for Best Band at the “Europe Jazz Contest”, and together they produced five discs, including “Luggage” for the Dreyfus Jazz.